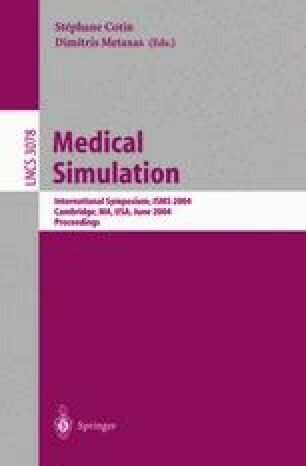 Interactively simulating nonlinear deformable human organs for surgical training and planning purposes demands high computational power which lacks in single processor machine. We build an interactive deformable objects simulator on a highly scalable computer cluster using nonlinear FEM and the novel multigrid explicit ODE solver which is stabler than single level schemes. The system consists of a graphical front end client on a workstation connected to a parallel simulation server that runs on a Linux cluster. After discussing the methodology in detail, the analysis of the speedup and preliminary results are presented.